Being Back 2 School Ready! - I Love ABA! It is that time once again when school buses begin filling up the streets and the little ones head back to school for a new year of learning and growth! Many of my clients are school aged kiddos, so right now I am meeting with teachers, preparing report summaries for schools, attending IEP meetings, and helping families request the accommodations their kiddos need. Similar to my Top Ten list post there are many issues around going back to school that I see happen over and over again, across clients. Regardless of functioning level, school setting, or how good of a relationship you have with the school, I think any family with children on the Spectrum could benefit from some general guidelines for successfully transitioning into a new school year. Is the teacher trained in Autism Spectrum Disorders and behavior management? What about Applied Behavior Analysis, Precision Teaching, or Positive Behavior Supports? How often does the teacher or IEP team talk with the home ABA team? Are behavior plans consistent across both the home and school environment? Does the classroom have structure and organization? If the child is an inclusion student, are they still getting 1:1 support if it is needed throughout the day? If the child is a special education student, are there parts of the day where they learn side by side with typically developing peers? 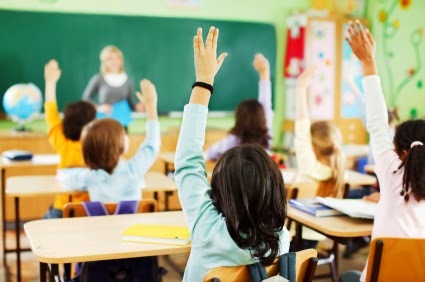 As ABA professionals we can play a very important role in helping our clients maximize their learning in the school environment, and reduce disruptive, interfering problem behaviors that not only may impact learning, may cause the child to miss out on the multitude of social opportunities a school can provide. Arrange opportunities for the home ABA team (particularly the Consultant) to meet with the school team. This could occur at Open House, the IEP meeting, etc. It doesn’t need to be very formal, what is most important is making those introductions, sharing contact information, and giving the school team detailed information about the child. Prepare a brief report, summary, or even a bio of your child to give to the school team. Ask your Consultant for help with this. 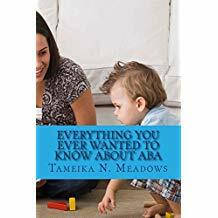 The summary should talk about your child’s ABA therapy progress, their current treatment goals, any applicable behavior plans, results of recent skill assessments, etc. This information will be very helpful for the teacher. Ask the teacher how information about the school day can be communicated to the home team. I almost always ask families to do this, and it continues to surprise me when it isn’t already occurring. The parents and the home therapy team need to know how the child performed at school, what problem behaviors occur in the classroom, frequency/duration/function of any problem behaviors, instructional strengths and weaknesses, etc. Sometimes teachers will ask me why we need so much information about the child’s school day. For the home therapy team, we are teaching skills and collecting data multiple times each week. In order to be most effective, we need to know what skills are generalizing and if problem behaviors happen across environments. Its invaluable information. The type of home-school communication I enjoy the most goes 2 ways: the school sends home a simple “How Was My Day” form, and the home therapy team sends session notes and data back to the school. It’s a win-win for everyone. It can be helpful to introduce your child to the classroom before they actually start attending. Particularly if your child is going to a new school or transitioning to an inclusion classroom. This could be done by going into the classroom to give a brief talk about the child (with visuals to hold the kids attention), or I have seen parents use Social Stories or Power Point presentations to teach the class about Autism. Let the child attend school starting on the second day, and use the first day to “introduce” the class to your child. Talk about their personality, their hobbies, and any behaviors they may have (“Sometimes Corey may walk on his tip toes. He does this at home too”). Stress similarities rather than differences, to help the children connect to your child. Particularly if your child attends a school that isn’t very diverse or Autism aware, taking the time to do this step can go a long way towards preventing bullying or excluding behaviors. Send your child to school with familiar items from home. Ask the teacher the best place to store these items (book bag, cubby, desk?). When your child feels anxious, overstimulated, or escalated the teacher can direct them to look at Mommy’s picture, or to wear headphones from home. Especially for younger kiddos who are new to school this can go a long way to making the child feel comfortable and at ease when they are at school. How open is the school? What is the visiting or observing policy? Do they place nice with outside professionals, or do they not allow them into the classroom? This is something you want to know before the school-year begins. I have had so many clients say to me “Oh yeah, Im sure it will be fine for you to go observe in the classroom” and then be shocked to discover the school has all kinds of policies that don’t allow that. If the school won’t allow outside professionals inside, who handles FBA’s and behavior plans? Will that person collaborate and share data with the home therapy team, or no? Again, find this out before school starts. If there are paraprofessionals in the classroom, what training do they have? Is it initial training or ongoing training? Is it Autism specific training, or special education training? Who handles behavior management/restraints, the teacher or the paraprofessional? Does the classroom have tools that can be used for de-escalation or to prevent overstimulation? Fr example, a quiet corner, a book nook covered by a curtain, a mini trampoline, a box of fidgets, etc.? If not, can your child bring these items to school with them? Does the IEP contain non - academic goals too (social interaction, adaptive skills, grooming/hygiene)? Especially for my older kiddos, I like to see well rounded IEP goals that will help the individual develop life skills and not just focus on academics. Of course academics are important, but school is also brimming with social opportunities. Unfortunately, sometimes if the goal isn’t written into the IEP then that means no one will work on it. What is the school policy (and there should definitely be a policy) on both reacting to and preventing recurring, persistent problem behaviors? If your child starts aggressing at the teacher on a regular basis, what will the teacher do about it? What will administration do? Will you be called to come pick up your child? Will a behavior support plan be created? By who?? At what point are consequences such as suspension or Time Out used? Who collects data on the problem behaviors, and how often will that data be shared with the parents? What is the teacher’s viewpoint on homework? Especially for my older, super high functioning clients they can have lots of issues with compliance. Is homework required? What if the skill can be assessed some other way? Can homework be done while they are still at school? If no, why not?? A similar issue my higher functioning kiddos can have is with getting bored in the classroom. They are super smart, so they finish work quickly, and then become bored. This leads to problem behaviors. Is the teacher willing to modify the curriculum or change his/her teaching style to prevent this? Can the child be given a choice of other activities to do if they finish work early? What system of reinforcement is used in the classroom? Is it visible? Do all the children understand it? What if there is a substitute, who explains it to them? Here is something I see often in classrooms: there is some type of reinforcement system (maybe a sticker chart) but the kids don’t understand it, and the teacher rarely uses it. It’s no wonder when systems like that don’t work, or parents start getting multiple notes home every week that their child “stayed on red” all day. Unfortunately, I often see really consistent use of behavior reduction strategies (notes home, losing privileges) but I don’t see consistent use of reinforcement. 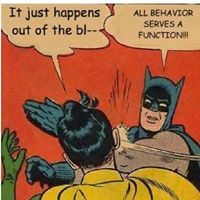 Especially if the kiddo receives ABA therapy at home, they are likely used to a very consistent system of reinforcement. It’s important to share this with the teacher and help them modify it as needed to work in the classroom. 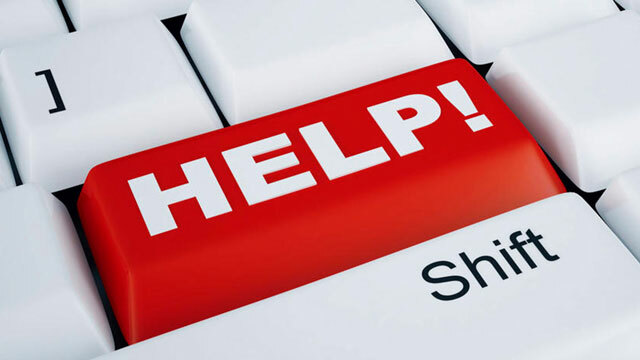 Your Consultant should be able to help you with this.